Sophia Anderson takes care of everyone but herself. She will stop at nothing to keep her family safe. When she goes searching for her runaway little brother in a bad part of town, she becomes the one in need of rescue. Navy SEAL, Mason Gault, faced many dangers while in the line of duty. No matter how bad a mission has gone, he finds solace in three things: His family, friends and the waves of the Pacific. When he hears a woman’s screams for help, he charges in to save her without a second thought. Sophia is burdened with scars from her past. Mason understands that empowering her spirit is just as important as protecting her well-being. As their love and passion soars, so do threats against her. Can Mason continue to be the compassionate white knight that she needs, while ensuring her safety? I had one of those, how did I not read this moments, when I was gifted this book. It seems I have read all of this series except for the latest release and of all things this one. The FIRST book. So I have now corrected that faux pas. When Sophia’s mother dies, she is left with just about nothing. 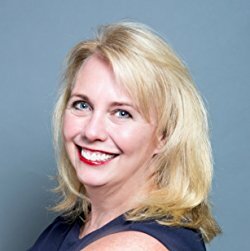 The perfect job falls in her lap, a job that also provides her with a place to live. Then her brother runs away from his foster home. Mason saves her from a horrific assault while she is looking for her brother. Whether she likes it or not, she now has his protection and help. Mason can’t believe her determination and resistance to taking care of herself in spite of her injuries. This is a favorite scene when Mason introduces her to Drake. When they got to the diner it was the middle of lunch hour, but there was a table with a reserved sign on it. Apparently it was not the norm by the grumbling of the patrons in line waiting to be seated. Sophia was taking orders so she missed them when they came in, but when she turned around she smiled. “She’s beautiful, Mase.” She was. She also shouldn’t be working. Even from there, Mason could see the lines of pain around her mouth. 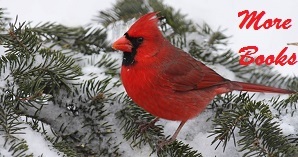 He looked around for Margie and caught her eye. Margie bustled over to him. “I’m so glad you’re here. She came down about an hour ago and put the reserved sign on the table for y’all. I couldn’t stop her from working until you showed up. Even though Brenda and I have things mostly covered. Now that you’re here, please sit down for lunch.” Margie patted Mason’s arm. “Hello,” Sophia stopped in front of him. She smiled at Drake. “Sophia, this is my friend Drake Avery who I was telling you about. Drake, this is Sophia Anderson. Sophia, come sit down and eat with us.” Mason smiled at Sophia, taking in the bruising on her face. “After you explain why you’re working. Are you out of your mind, girl?” Drake demanded. Oh, this was not going to go well. Of course it was exactly what he was thinking, but he would have said it with a little more tact. “This way to your seat.” She turned and ushered them to the table with the reserved sign. Mason held out a chair for her but she ignored it and walked towards the back of the diner. Yep, tact would have worked better. “What the hell?” Drake said loudly. “Shut it,” Mason hissed. He followed Sophia towards the kitchen. He thought she might be going back there to work, and then saw a small door to the right that had to be to the upstairs apartment. She fumbled with the doorknob with her left hand and he took the opportunity to put a gentle hand on her uninjured shoulder. “Honey, can we talk?” He tried to catch her eye, but she kept looking at the doorknob. “I’m going to wait upstairs until you’re done with lunch.” Dammit, she probably hadn’t even eaten lunch. He was going to kill Drake. “I missed you, and I sure would like it if you’d have lunch with me.” She paused and turned to him, her green eyes unsure. “Yes, you. I would really like to spend more time with you. If you don’t eat with me, I’m stuck eating with just Drake. Would you really force me to endure that?” Her eyes twinkled at his teasing. “He can be a little overbearing, can’t he?” Seeing her smile hit him in the gut. He’d love it if she’d do it more often. “Holy crap. Are you one too?” Her eyes widened. “I don’t want to take up too much of your time. You must be busy and I can look for Billy by myself.” Yep, being a SEAL was counting against him. “Let’s go have lunch and put Drake in his place. Then we can talk about my schedule and how best to find Billy, okay?” He waited and she finally nodded. Okay, he’d managed to get past another hurdle and he breathed a sigh of relief. O’Leary, Caitlyn. 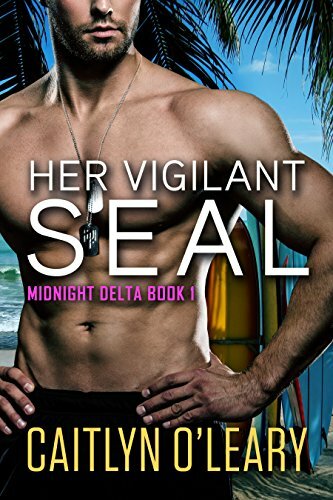 Her Vigilant SEAL (Midnight Delta Book 1) (pp. 55-58). Caitlyn O’Leary. Kindle Edition. Sophie has more issues than just her brother running away. Her self-esteem is almost non-existent, her confidence is only in herself and she trusts only a few people. Mason has his work cut out for him and believe me it’s rough going. He has to get her to trust not only him but his team as well. Persistence is the name of the game. There is plenty of suspense to keep you turning the pages as this relationship develops. I now have to re-read the rest of this series. I just know I’ve missed some important stuff.